If vaccinations were so effective in improving the health of children, why do the statistics not bear this out? In fact, the opposite has been shown to be true. Increasing vaccination rates are correlated with growth in diseases for our children. 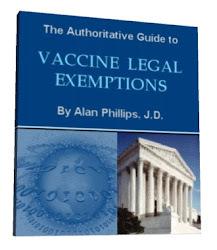 Unfortunately, the Centers for Disease Control and Prevention (CDC) and physician groups mistakenly maintain that vaccines are responsible for eliminating many frightening childhood diseases including measles, mumps, chicken pox and polio. These diseases and others targeted by vaccines are, in truth, minor childhood illnesses which cause few health problems. In 2009, Generation Rescue completed a comprehensive review of publications and literature on vaccination, autism and infant mortality rates. Their review concluded that the US recommended 36 vaccinations for children under 5 years of age, double what most other developed countries recommended. How Do Other Countries Handle Vaccine Injuries Compared to the US? In the 1980s, vaccine injury settlement costs were threatening the continuation of pharmaceutical companies to make vaccines. To protect the pharmaceutical companies, legal immunity was granted to vaccine makers in the US. This protection resulted in skyrocketing increases of vaccine use and injury. US policy focused on protecting vaccine makers, not American children who were dying or becoming permanently damaged as a result of vaccines. Other countries responded more responsibly. Numerous studied have been completed in the US and other countries comparing unvaccinated and vaccinated children’s health. The results have been unanimous. Unvaccinated children enjoy far superior health compared to those vaccinated. How Scary Were Childhood Diseases such as Measles, Mumps, Chicken Pox and Polio? While there was the rare individual who developed complications from measles, mumps, chicken pox and polio, the vast majority of children suffered a very common, mild infection requiring a few days off school for rest and recovery, attaining permanent lifetime immunity and strengthening of the immune system. Even polio, which did sadly result in paralysis for some, was mostly mild and undiagnosed for most who developed the illness. The US has the highest vaccination rate of all industrialized countries. US children are experiencing a health epidemic with more chronic diseases than ever before in our history. The US has the highest infant mortality in a study comparing America with 29 other developed countries. Children in the US suffered with more autism than in all other countries studied. Studies comparing vaccinated and unvaccinated show conclusively that unvaccinated children enjoy far superior health. Research and data demonstrate that vaccines cause neurological damage and contribute to significant health damage. Vaccines are a major contributing factor to today’s health crisis in our children. Vaccines wrongly credited with saving lives and improving health is instead responsible for destroying lives. Legal immunity granted to vaccine makers has contributed to a growth in unsafe vaccinations, which profit pharmaceutical companies while injuring our children. Education and advocacy are key in redirecting the misguided vaccination expansion in our healthcare system. Progress is evident by the fact that vaccines are now considered controversial and many have heard of vaccine injury. Each individual who is open-minded should be approached with vaccine injury stories and vaccine facts. Contacting Congress members to protest proposed strict state vaccination laws is also critical. The NVIC has an advocacy site one can join to get updates on proposed local state vaccine law changes. It can be discouraging, but there is a growing movement led by vaccine-injured, parents of vaccine-damaged, researchers and informed health care professionals to end this dangerous vaccination trend. Each unvaccinated, saved life is a victory. Michelle Goldstein is a mental health therapist who is passionate about holistic health, natural healing, nutrient-dense foods and the politics that impact them. She has published articles for Natural News, VacTruth, where this article first appeared, and other health websites. All of her published articles to date can be found at her health website, Holistic Health to Go. She can also be followed on her Facebook Page.